Held every year since 1913 (barring a few breaks for World Wars) the Chelsea Flower Show is Britain’s most prestigious flower show. As you’d probably expect for an event with flowers in the name, it’s all about beautiful gardens and incredible aesthetics and design. That’s not the only story though – the Royal Horticultural Society has also been helping refugees for more than 100 years. During the First World War, the RHS regularly sent seeds to British citizens detained in the Ruhleben internment camp in Germany. 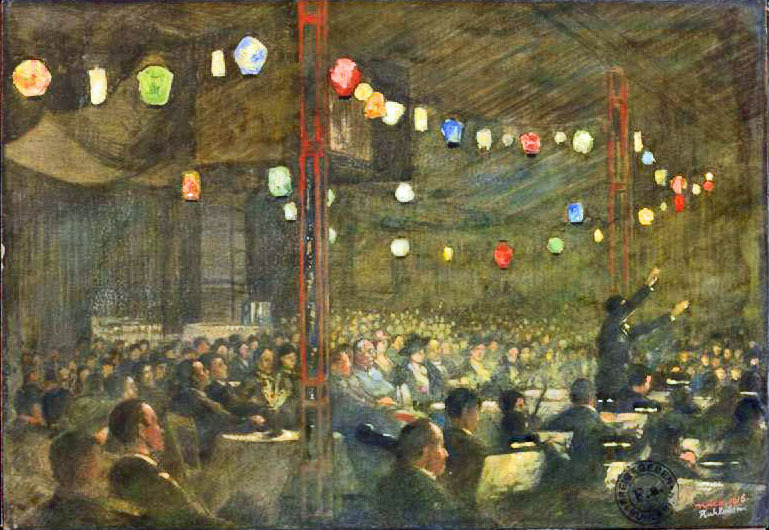 They formed a horticultural society, which gained more than 900 members, and hosted gardening competitions, transforming the camp. Now, a hundred years later, the RHS is working with The Lemon Tree Trust to send seeds to Syrian refugees living in the Domiz camp. Creating a garden was a way for us to heal and remind us of home. We were thankful not only of the seeds, but for a feeeling of friendship with gardeners across the world. 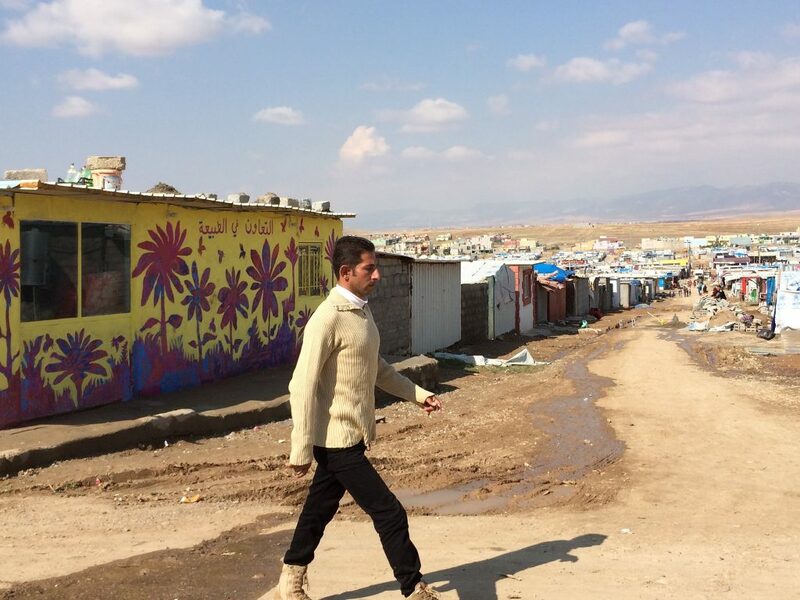 Home to 32,00 refugees, Domiz is one of the largest refugee camps in Kurdistan, northern Iraq. The camp has been transformed by the gardens, allowing its inhabitants to express their individuality and maintain hope through gardening. It’s all about dignity and having a home – something also at the heart of our human rights. Horticulture, the practice of garden cultivation, has been incredibly beneficial to refugees and prisoners of war in the past, not only as a means of growing food, but due to the positive effects gardening has on emotional, physical, and mental health. Again, ensuring we’re all able to attain a good level of physical and mental health links into many of our human rights. 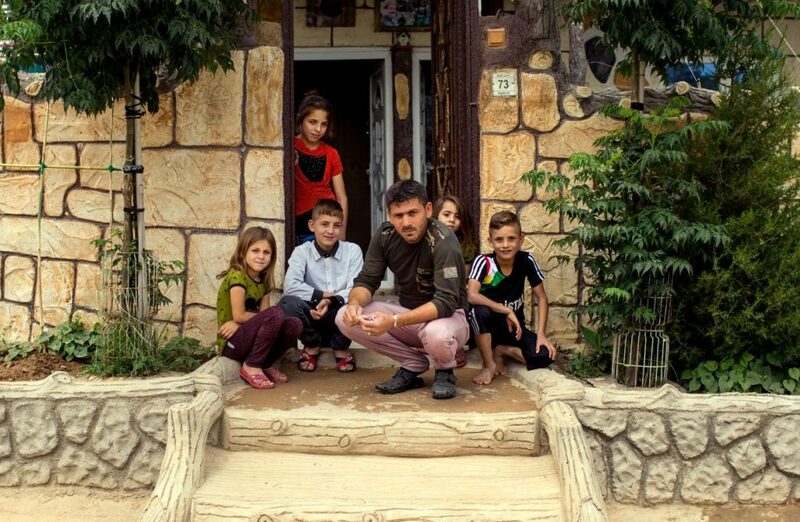 We’re delighted to help displaced peope reap joy from the benefits of gardening. 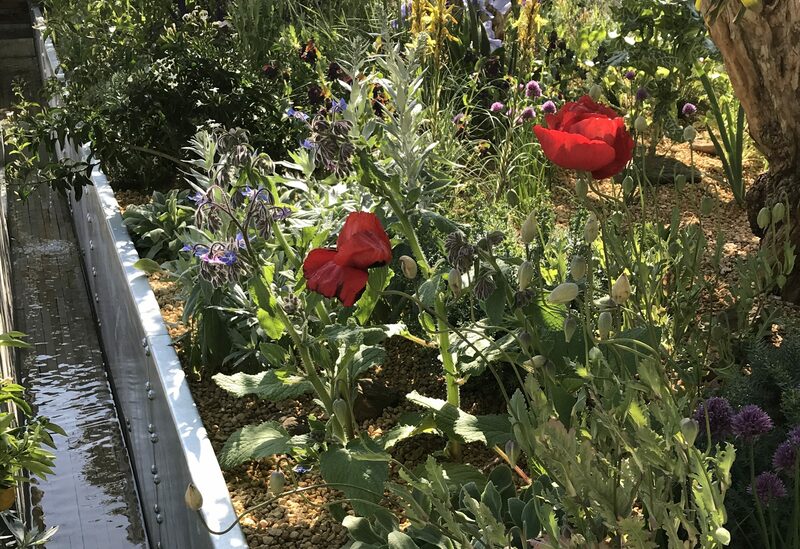 Sue Biggs, Director General of the RHS, said they were “delighted” to be working with the trust to “help displaced people reap joy from the benefits of gardening, through the airlift of thousands of seeds for them to grow nutritious food and beautiful flowers”. 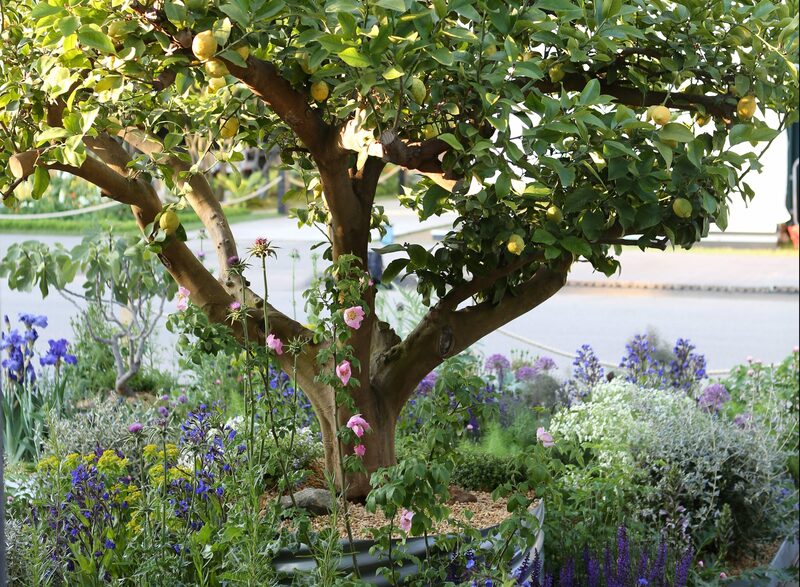 The Lemon Tree Trust also has an on-the-ground presence at the this year’s Chelsea Flower Show too, developing a garden which has been inspired by their work further afield. Featuring authentic seat cushions, Damascus roses, and plants in tin cans, it aims to be as authentic as possible. 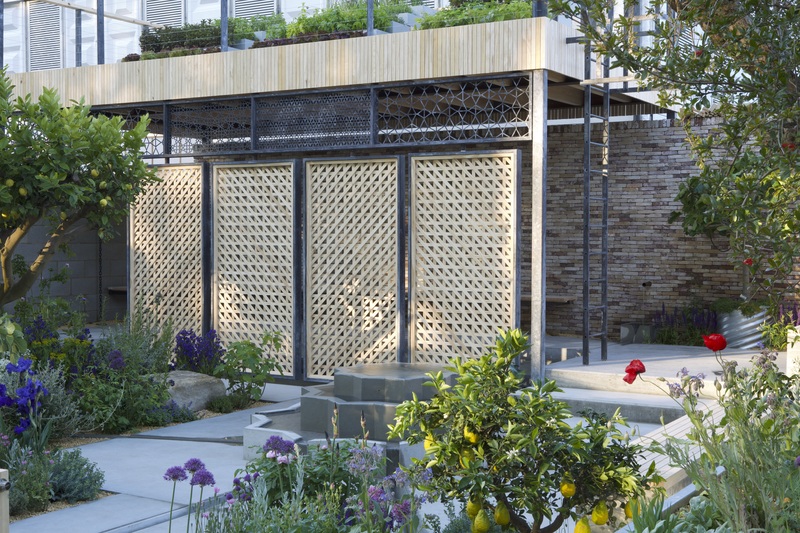 Designed by Tom Massey, the garden was both inspired and created by refugees, using, using materials widely available at the camp and plants found in the region. It includes shade screens and fountains inspired by Islamic designs, and features elements taken right out of the camp, such as the ‘innovation wall,’ using tin cans and plastic bottles. 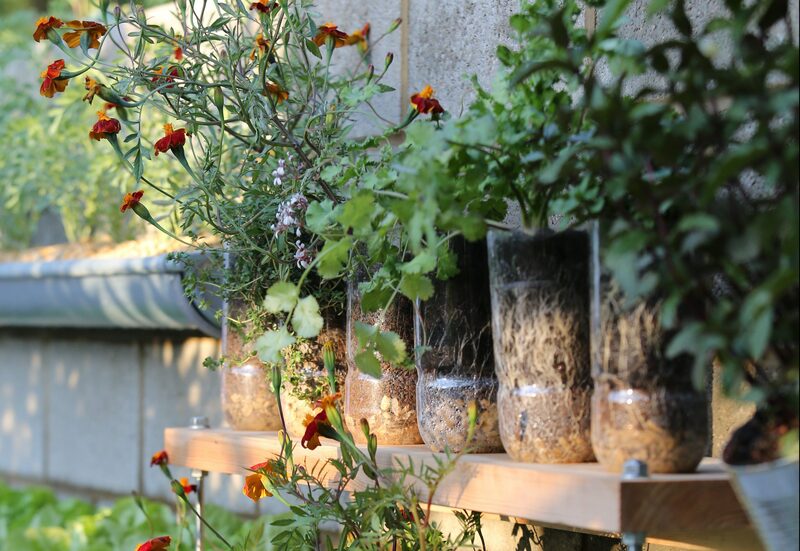 The Lemon Tree Trust aims to educate a wider audience at the Chelsea Flower Show about beautiful yet drought-resistant plants, as well as the ingenious methods used by the refugees, such as vertical planting. 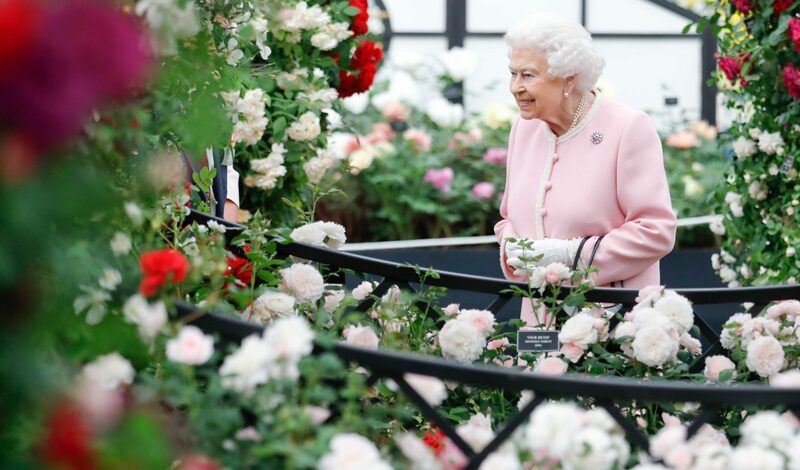 The Queen, who is a huge fan of the Chelsea Flower Show, visited The Lemon Tree Trust Garden and reportedly gave it a royal thumbs up. She’s said to have been “fascinated” by the ingenious gardening methods. The non-profit also hope the garden in Chelsea will broaden their message that the refugees use gardening as a way to bring order to chaos, and as a way to form a community in a time of displacement. And, to be honest, we couldn’t be more on board. The star's latest track has caused a stir on social media - we take a look from a human rights perspective. The so-called 'gay cake' piece has found itself back in court, this time in the highest court of the UK, the Supreme Court.